By Rosemary Melian E. Coleby F.I.G.R.S. My research into the Deane family is prompted by my investigations of the origin of the given name MELIAN for which I have compiled a sizeable family tree. However, since the name is so unusual, there are many variations in spelling and name, specifically Melior. The name was brought to Ireland by Matthew Deane, who had a daughter Melian born ca. 1658. It is quite possible that the name is of Cornish origin. Sir Matthew Deane of Dromore, Co.Cork (1623-1712) was originally from Bristol, and probably came to Ireland in the 1640s. It appears that some members of the Allen/Allin/Alwynn came with him. In some documents it is given that the Deane family came from Deane's Fort, Somerset (1), (in others Deane's Fort as mistakenly given as being in Suffolk (2)), that Matthew was the third son of Matthew Deane and Blanche Blount, and that his paternal grandparents were Moses Deane and Alice Ludlow. I doubt this, as I have been researching the Deane family in Bristol and have come up with a different story. First there is no such place as Deane's Fort in Somerset. In the Somerset Marriage Licences there is the marriage in 1611 of a 'Mosen' (accusative case) to Agnes Lyon in Estbrent (he is sworn as Moyses), and his baptismal entry is probably on 24 April 1586, listing him as son of John Deane. 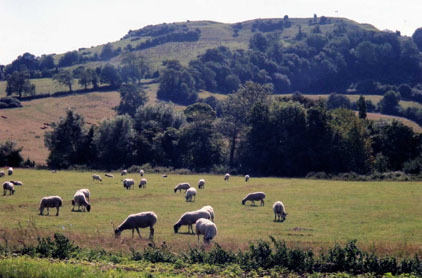 East Brent, where parish records include numerous entries with the surname Deane or Dene, is to the north of Brent Knoll (which was formerly known as South Brent). 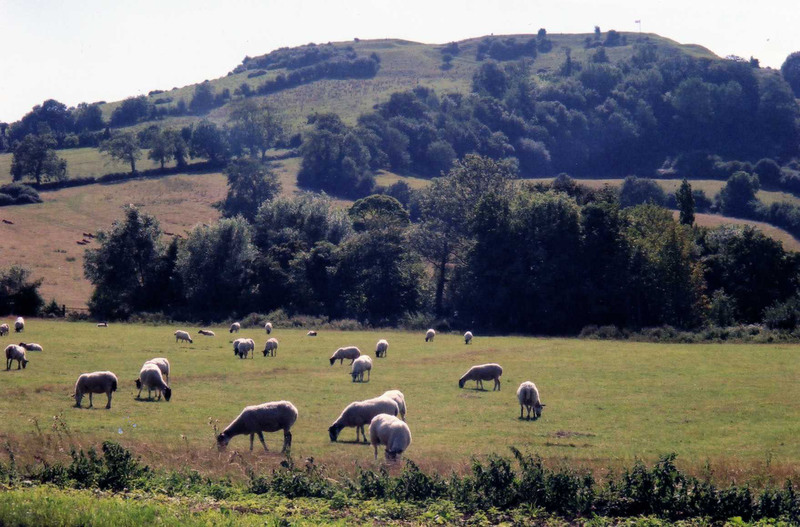 Here there is a Hill Fort where the family probably lived and named it Deane's Fort. In his will proved 1717, Sir Matthew Deane's properties of Dromore, Co.Cork and lands at South Brent, Somerset were entailed on the heirs male, and listed as 'all other my fee and freehold mortgages and leasehold lands in England and Ireland' (3). I also checked for Deane family records and found the baptism of Matthew Deane son of Robert Deane, baptised 1632, as well as Melior Deane also daughter of Robert in 1622 (6). Matthew was the fourth son of Robert Deane, but one of his brothers may have died young, so he could have been classified as the third son of Robert. Robert Deane was a notary public and 'held a messuage in Corn Street adjoining the chancel of All Saints Church to the south'. Melior Deane is presumably the Melian who married Bartholomew Allin. She went to Ireland and is listed in the Cork and Ross Marriage Licences as Mealien Alwen who married James Smithfeild [sic] in 1667, and later came home to Bristol where she died. I then checked into the Wallis family and found in the All Saints parish records the baptism of Melianne Wallis, daughter of Thomas Wallis on 1633 14 Jan (9 months after Matthew Deane was baptised). I found no listing of the baptism of a Mary so I conjecture that Mary and Melian could be the same person who later married Matthew Deane (I have come across the alternating use of the two names at various times in my researches). The tradition at that time was for sons to be named after a grandfather. And Matthew Deane named his eldest son Robert, presumably because his father had that name. I found no baptism for father Robert either in All Saints, Bristol, or East Brent. In a 1639 will (7) of Thomas Deane, grandfather of Robert Deane, he referred to 'my sonne in lawe Thomas Wallis and my daughter Bridgett his wife'; Bridget Deane was the sister of Robert Deane (buried 1644) whose son was father of Matthew and who had married Rebecca Baugh (buried 1643 2 Oct). There is reference in the “Dene, Deane, Adeane” book to the daughter of a Thomas Deane who married Thomas Wallis. Therefore the Deane and Wallis families were already related by marriage and Matthew Deane married his cousin. The Deane family was obviously fairly extensive in the Brent area of Somerset. Between 1577 and January 1608 some 57 Deane/Dene (also some Dunne, Dun or Dn.) children were baptised in the parish of East Brent alone. I doubt whether it would be possible to make up a Deane family tree that would allow us to link the family I have researched and the other supposed relations listed at the beginning of this article. (3) “The book of Dene, Deane, Adeane, A Genealogical History” by Mary Deane & John Deane, 1899. I welcome any comments from researchers.